Make your kid's birthday party unforgettable by hiring one of these top-notch NY kid's party musicians. 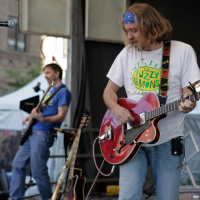 The kids will have a great time dancing and singing along with the NY musician, and the adults will love it too! Look through this full guide to kid's party musicians in NY to find the perfect one for your party. Check out this new local resource for finding kids musical entertainers in New York for parties and events. One of the Best Kid's Musicians in NY! 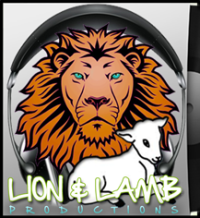 Lion and Lamb Productions, Inc. Lion and Lamb Productions offer a full range of services for churches, businesses and individuals. We are the company client’s turn to when looking for entertainment. Our goal is to obtain complete satisfaction in the execution of our responsibilities of any size and complexity. We will support and advise our client’s developmental strategies through Faith, Professionalism and Experience; providing high quality Christian Entertainment to our clients while simultaneously exceeding their expectations, and those in attendance. With over 16 years of experience, we have the knowledge, skills, charisma and most importantly, passion for what we do. We are not your average DJ Company. We thrive to bring you the absolute best. Our style approach to Christian DJ entertainment sets us apart from the rest. We provide a professional service, a stress-free experience, and a Christ centered musical experience to your event. We spend countless hours sifting through music, technologies, and trends in order to be on the forefront of event entertainment. This is essential that the team have the necessary experience to properly “Read the Crowd” and make sure that everyone walk away saying they had a great time. Named today's Mr. Rodgers by Celebrity Parents Magazine! 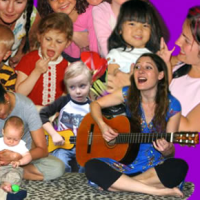 Experience the joy of Sukey Molloy’s award-winning music and movement play activities at your child’s next NY birthday celebration. Sukey’s up close, gentle style encourages lively participation, hands on musical themes, and songs to make children feel happy! Your whole family will enjoy the intimate, magical atmosphere only Sukey Molloy can create. Whether in performance with Sukey Molloy & Friends, or in smaller duo and solo settings, Sukey brings that ‘just right’ mix of movement, play and song for your child’s special day. Celebrations include sing along fun with instruments, colorful felt images, finger puppets, balls, scarves, bells and Sukey’s special stuffed-felt friends, Sunny & Tick Tock. Founder of PlayMove&Sing Inc., Sukey Molloy creates her very own signature style of hands on parties, concert performances, classes, and music and movement programs for infants, toddlers and preschool children ages 1-5. Sukey’s CDs and DVDs have won the Parents’ Choice Silver Award, Preferred Choice Award, Mom’s Choice Gold Award, NAPPA Honors Award, and the Children’s Music Web Award. Her DVD series, Sukey’s Circle! (Vol. 3 Mini-Shows) broadcasts on BabyFirst (TV) across the US and Latin America. “…Sukey is undeniably today’s Mr. Rogers.” - Celebrity Parents Magazine. Visit Sukey Molloy at www.sukeymolloy.com! Have a Kid's Sing-a-Long in NY! Bring out the singers and dancers in your kid and friends by hiring the Deedle Deedle Dee's for your child's next birthday party. This NY kid's party musician will perform a highly-interactive show that will feature all types of movement, shaker eggs, dance-a-longs, sing-a-longs, and more. The Deedle Deedle Dee's suggest a solo performance for kids under 10 so that the performer can really interact with the kids. They also offer live band performances for older kids and adults. Dance, Sing & Play Instruments in NY! The children will have a great time at your kid's birthday party when you hire Audra Rox as your NY kid's musical entertainer! Every kid will join in on the fun with shakers, instruments, sticks, dancing, and more. Audra Rox will keep the kids entertained throughout the entire party with her fun interactive activities. Book Audra Rox for your kid's upcoming birthday party and give the children the gift of music, dancing, and fun! Great for kids of all ages, Audra Rox is sure to impress! Book this Girl Power Musician in NY! There is no doubt that Suzi Shelton is a great children's musician in NY, so she will be perfect for your daughter's next birthday party! She will come to you within the five boroughs of New York, equip with her musical talents and kid-friendly activities. The kids will love her array of music from her CD's, No Ordinary Day, Simply Suzi, and more. 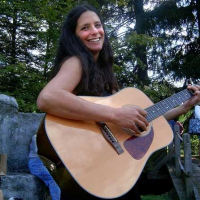 As a wholesome girl's birthday musician in NY, Suzi Shelton will entertain the children from start to finish with her beautiful music and interactive performance. A Talented & Fun Kid's Band in NY! 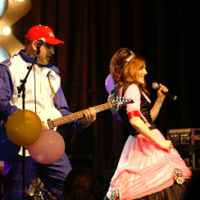 A fun and silly kid's band in NY, Princess Katie & Racer Steve are the perfect NY musical performers for your kid's birthday party! They will arrive dressed as a princess and racecar driver, perfect for both girls and boys! Along with their two friends, Princess Katie & Racer Steve perform in their band equip with a drummer, guitar player, bass player, and singer. Because of their interactive show and fun personalities, Princess Katie & Racer Steve will have the kids entertained from start to finish with interactive dancing and singing activities. Dance to the Groovy Beats with the Itty Biddies in NY! 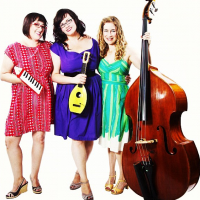 As a girly trio band, the Itty Biddies is sure to impress kids and adults alike with their awesome skills in vocals, piano, bass, drums, and ukulele. Invite the Itty Biddies to your kid's next birthday party, and watch the kids be entertained from start to finish! Even the adults can't help themselves from dancing to the groovy beats. Have the Itty Biddies come to your kid's back yard party, and turn your average event into the event of the year! Kids and adults alike will have endless fun and entertainment. Jam out to this Kid-Friendly Band in NY! This children's band in NY will work with your wants and needs for your child's next birthday party. Whether you're looking for a large band with a saxophone, guitar, bass, drums, vocals and keyboards, or a small acoustic band, they offer it all! 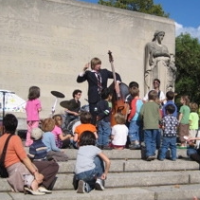 This NY kid's musician for hire is sure to impress kids and adults alike. No matter how old the birthday kid is, or how big the venue is, the Fuzzy Lemons guarantee to accommodate to your special kid's party or event. You will Love Her Stories & Music in NY! 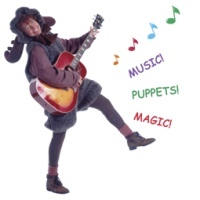 If you're looking for a fun but educational musical entertainer in NY, then Story Laurie is the entertainer for you! She incorporates story-telling, music, and her love of nature into one fun-filled kid's party. 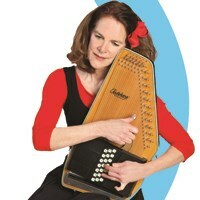 The songs she plays are from her CD, "Groovin' in the Garden," which are sure to entertain kids of all ages. 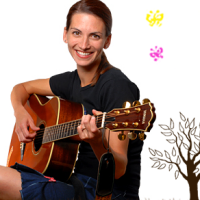 Story Laurie's story-telling and songs are a great kid's musical entertainment in NY that is sure to impress both kids and adults. From young to old, everyone is sure to be inspired by her talent.